And the mome rath outgrabe. I love poetry. I get it from my father. Scattered through my huge collection are a few books of poems. When I go into used bookstores I search for small books of fantasy poetry, and sometimes buy them whether I’ve ever heard of the author or not. My favorite authors are great storytellers, but also poets–often very whimsical poets. 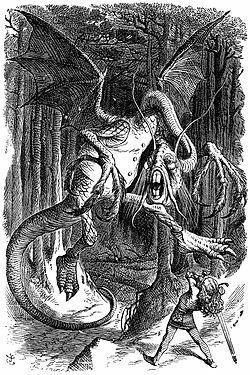 Lewis Carroll, Omar Khayyam, Robert E. Howard, H.P. Lovecraft and others. Another great thing about poetry is that it inspires wonderful art. I love wonderful art, too. I woke up early this morning, and was obsessed with the idea of telling you about the glory of poetry. So here I am, before the sun comes up, ransacking my book collection, trying to find a few short poems to share with you. I know I have dozens of books full of poetry, but they are mostly hiding pretty well this morning. I did find these. The Sultan’s Turret with a Shaft of Light. This is the first quatrain from the Rubaiyat of Omar Khayyam as rendered into English verse by Edward Fitzgerald and published by Donald McKay (a publisher) in Philadelphia in 1942 with illustrations by Willy Pogany. I have at least three different editions of the Rubaiyat around the house, and whenever I see one in a bookstore, I always pick it up and leaf through it. The temptation to buy is always strong . . . but I already have at least three. My favorite verse is one that shows me for the hedonist I really am. 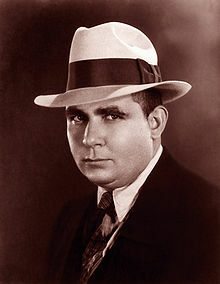 The greatest author of sword and sorcery fantasy in the English language was, in my humble opinion, Robert E. Howard, best known for his creation of Conan the Barbarian. 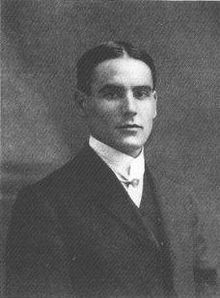 Howard committed suicide at the age of 30 in 1936. What is not well known is that he was a poet of exceptional quality who wrote weird and morbid verse. Here is his The Road of Azrael. And the iron horsemen ride me down. Let me ride for my hour is nigh. To the sun and the desert sand to die. Another author of weird fiction from the beginning of the 20th century also wrote weird verse–in fact, I suspect that they all did. It’s just that I was able to find my book of Hodgson’s poems when I went searching this morning. 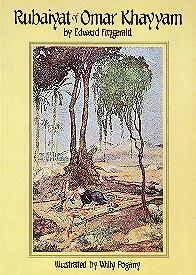 Hodgson’s great mythos was the Sea, but he died on land as a soldier during World War I. Of cliffs that gird the day. Well, let me stop for now. I was going to give you poems by Donald S. Fryer and Tanith Lee, but too much poetry is just that–too much. Perhaps I will fill another blog with weird poetry some time. Perhaps I will share some of mine. If you ever wrote a weird poem, or even a weird limerick, feel free to leave a comment.